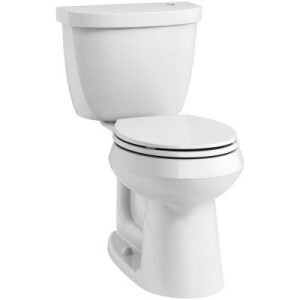 Sowers Plumbing proudly offers toilet installation and toilet replacement services in Greensboro NC. For years we’ve been serving our friends, families and neighbors throughout Greensboro with a level of quality and care that you don’t see very often these days. When it comes to toilet installation and toilet replacement, call a plumber who is going to do it right the first time. We’re family owned and operated, and we appreciate the value of hard work and attention to detail. Whether you’ve bought a new toilet and need it installed, you’re thinking about buying a toilet, or you just need toilet repairs, Sowers Plumbing is right around the corner servicing your neighbors in Greensboro. Give us a call so we can come by and take care of your bathroom plumbing. Some of the best plumbing in Greensboro was put there by the hard work put in by our plumbers. That’s how we built up our reputation as the first choice for toilet installation in Greensboro. Our quality of service is unparalleled in the industry, and you’ll see that when you call us. Sowers Plumbing will work with you on your new toilet installation cost to ensure you receive the best quality of service at a price that won’t break the bank. We can even provide you with your new toilet as a part of our service if you’re just starting the process. Call us over for your estimate so that we can give you a quote on the cost of toilet installation in your home in Greensboro. Don’t forget that you can rest assured that your toilet replacement in Greensboro comes with a guarantee. We’re only a phone call away! We are licensed and insured professional plumbers who are dedicated to providing you with quality plumbing that lasts, and that’s done right the first time. Call us today!